Sarah Maunder is a journalist at ABC Mid North Coast. She recently filled in at AM, PM and the World Today at ABC Radio Sydney. Sarah has been with the ABC since 2016, and before starting in her current role, she worked at ABC South East SA. Prior to joining the ABC, Sarah was a regional journalist at Fairfax Media (now Nine Entertainment Co), where she covered the Mid North of South Australia. 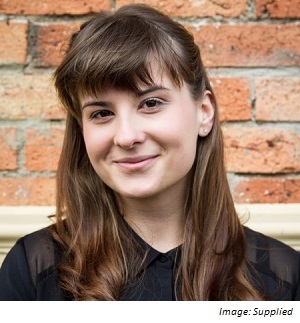 Her career in the industry began in 2013 as a volunteer executive producer at SYN News. Her Twitter handle is @s_maunder. When did you decide journalism was something you wanted to pursue and why? I was volunteering as a music photographer for a street press magazine in Adelaide in 2011. By chance, I was given the opportunity to interview Slash (of Guns N’ Roses fame) because I was such a huge fan, and the reporter assigned to the interview couldn’t do it. After that, I applied for the journalism course at RMIT. As a regional journalist, what unique challenges do you face that a journalist in a metro area would not? You have to be the reporter, the cameraman, the video editor, social media manager – everything! But this is the strength of being a regional reporter; you do absolutely everything. For a press release to provide value to your work, what must it contain? Local, relevant information or statistics always helps, especially if it’s a state-wide or nationwide release. Case studies are always great too. What changes would you like to see to regional reporting? Tough question! There are awesome stories in regional Australia. I’ve been seeing regional stories really being embraced by audiences nationwide. It would be great to see that continuing. In what ways has social media enhanced your work? It’s great for finding quirky stories, or people who are being affected by a certain issue. It’s also the best for finding weather photos.